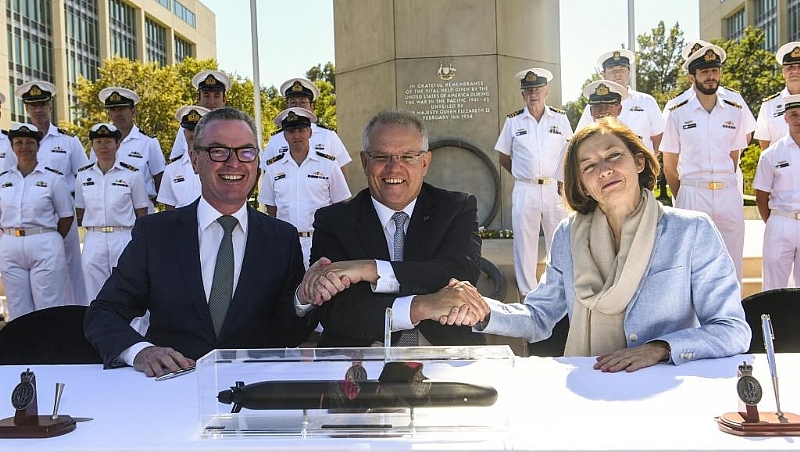 Australia and French shipbuilding firm Naval Group signed a deal worth 31 billion euros on Monday to build 12 states of the art submarines. Australia's Prime Minister Scott Morrison said the deal to build 12 attack-class Barracuda submarines was a “very audacious plan” that was “part of Australia's biggest ever peace-time investment in defence”. The contract with Naval Group, a French consortium with state backing, is worth 50 billion Australian dollars or about 31 billion euros. It is both Australia's largest-ever defence procurement project and Naval Group's largest ever foreign sales deal. The firm said the submarines would be delivered and tested beginning in the early 2030s through to the early 2040s, with the last one likely to be decommissioned in the early 2080s. Guillou expressed hope the deal with Australia would boost the firm's prospects in other negotiations in Brazil, India, Poland and elsewhere.